Our new Jalaka desk, CNC machined solid oak with a natural charcoal linoleum work surface and sleek curved metal legs. Currently available across Europe from Interio and Furgner. 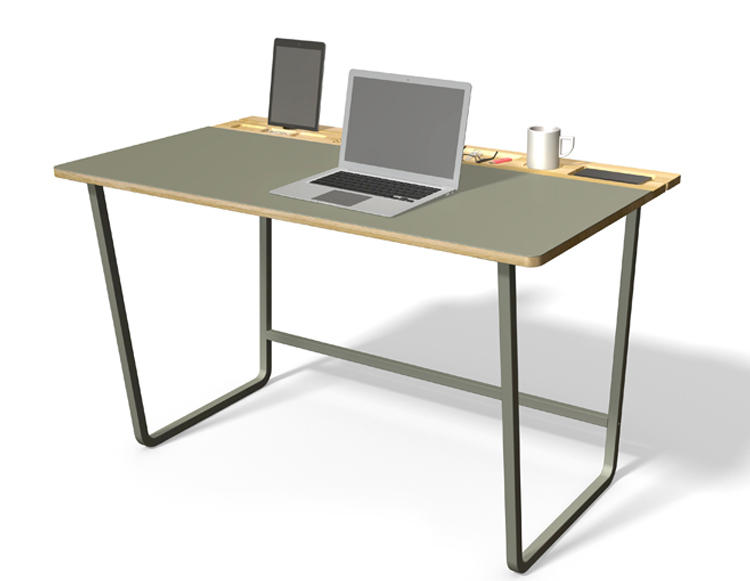 Jalaka desk - rendering of the solid oak desk with natural linoleum work surface and dark grey metal legs. Detail of the Jalaka desk - CNC machined cable management, stationary compartments and storage partitions. The Jalaka desk has beautiful curves and a sleek profile. Currently available across Europe from Interio and Furgner.